EUROPEAN COUNCIL ON TOURISM AND TRADE ECTT’s corporate website, which is aimed at industry, government and educational personnel interested in obtaining tourists from European Union to their countries. 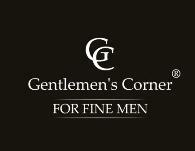 GENTLEMEN`S CORNER FOR FINE MEN GENTLEMEN’S CORNER is recognized as the EUROPEAN OFFICIAL DIPLOMATIC PARTNER. For all who admire the classical elegance, who value the well tailored fashion and are looking for a tried and tested creators!